"Cut, bake and decorate" - felt cookies that are really great! 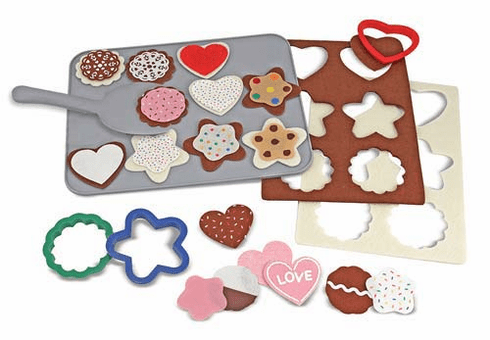 Make batch after batch of delectable cookies using these 30 felt food pieces, plus baking utensils. "Cut" cookies with the 3 plastic cookie cutters, "bake" cookies on the cookie sheet and decorate them with colorful, removable toppings. Oh - how sweet it is!